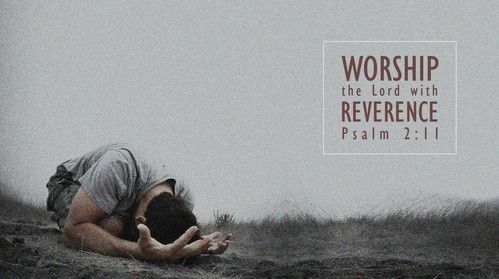 "Worship the Lord with reverence, and rejoice with trembling” (Psalm 2:11). To the degree that He allows us to know Him and experience Him, our response should include a range of emotions including joy and humility, awe and reverence, singing and kneeling. Moses was the leader of the Hebrews and he knew God, and pondered, “Who is like You among the gods, O Lord? Who is like You, majestic in holiness, awesome in praises, working wonders?” (Exodus 15:11). Generations later, David, the great king of Israel, answered Moses. “There is none like You” (2 Samuel 7:22). Encountering His majesty and His holiness and His love should captivate our thoughts, alter our ambitions, relieve our fears, shape our values, and satisfy our desires. To the degree that God allows us to know Him and experience Him changes everything for us. Because encountering God, and truly knowing Him, provokes a holy response. A response of reverence, humility, repentance, trust, gratitude, and surrender. And the more we know Him, the more we realize that nothing else satisfies. Nothing else in life inspires us or moves us like He does. To truly know God is to make Him our greatest admiration, our greatest affection, and our greatest ambition. To truly know Him is to … “Worship the Lord with reverence, and rejoice with trembling” (Psalm 2:11).